Google Voice, Skype, Vonage, the list is growing with VOIP providers and 2010 may be the year where it hits the masses and the mobile operators start to embrace the technology to protect its users from defecting. The number of consumers using mobile VoIP will approach 288 million by 2013, according to research company In-Stat. Of these users, well over half will get their service from an online mobile VoIP provider, 30% will use it over 3G through a MVNO or wireless operator, and 11% will use a WiMax or an LTE operator. Another research firm, Gartner, has forecasted that in 10 years more than half of mobile voice traffic will be carried end to end using VoIP. 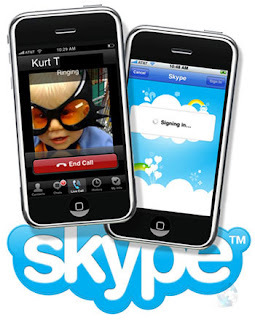 Verizon and Skype recently announced an application co-developed allowing smartphone customers to make and receive unlimited Skype calls and dial out to local and international landlines or wireless numbers using regular Skype calling rates. The calls, however, will traverse Verizon's voice network where they’ll be switched as normal phone calls and passed to the Skype VoIP network. Verizon, however, will still require all Skype users to have a data plan. T-Mobile has been offering the UMA (unlicensed mobile access) technology which attempts to preserve the characteristics of a traditional GSM call. The company refers refers to it as "GSM over IP." They launched the technology in June 2007, and was meant to give the mobile user a steady connection while at home, UMA requires an 802.11-compatible device to properly connect. AT&T was the last to the party and recently announced that it will allow its I-Phone customers access to Mobile VOIP solutions. The reason for the delay was most likely the impact to the network and the additional traffic that would clog its pipes. VoIP has been driven by the likes of cable companies that wanted to disrupt the incumbent phone companies, but now the cable companies see another revenue stream and a potential quad play. Cablevision COO Tom Rutledge recently disclosed the company is testing a device that uses the WiFi network and will switch to a cellular network outside of the company's footprint. The company offers free WiFi service to its customers in the New York metropolitan area. "The test is so far proving to be good and consistent with our view of what is possible, and gives us some hope that we will be able to launch additional products using the WiFi network that will look like what some people think of as cellular telephone," he said. Rutledge added that Cablevision has not made any decision as to whether it wants to build its own cellular network or lease capacity, but that the latter would be "a less capital-intensive, higher-return business." The carriers had to react and open the networks and allow diversity with VOIP, we can now find that consumers and business will have new options for wireless calls in the coming year and in the future. Wireless voice as we know it will no longer matter, it will be who has the best data network and the capacity to allow VOIP to grow.